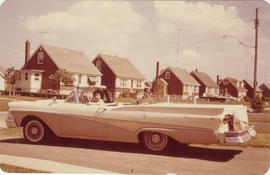 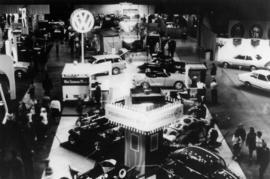 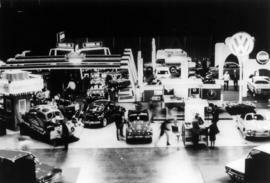 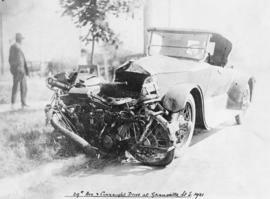 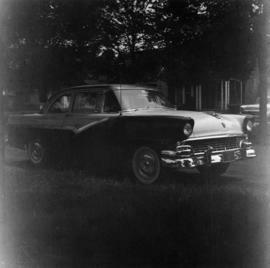 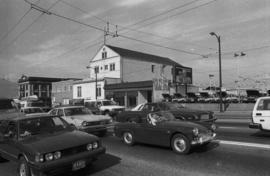 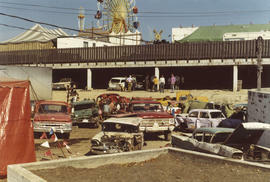 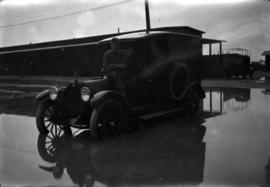 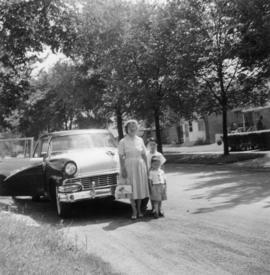 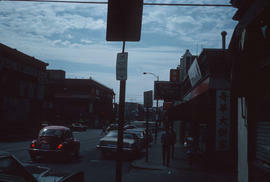 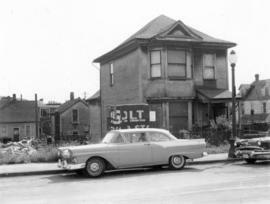 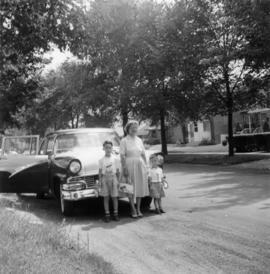 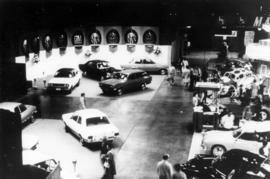 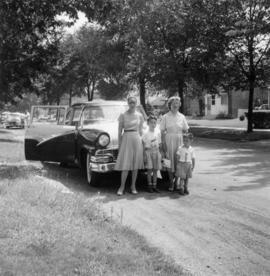 Item is a photograph showing traffic in front of Bond Mechanical. 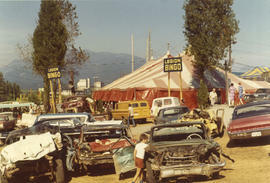 Photograph shows Royal Furniture and Mt. 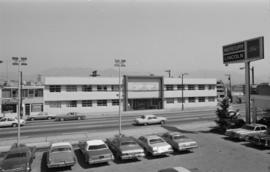 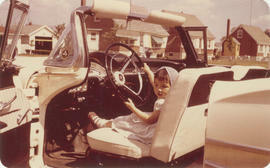 Pleasant Credit Union. 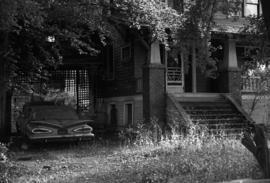 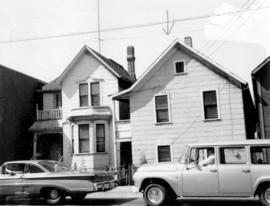 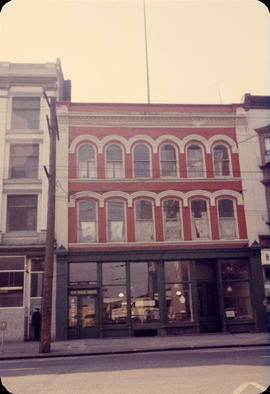 Photograph also shows part of 264 Union Street. 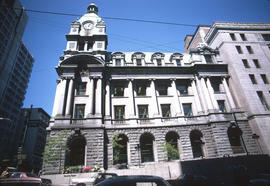 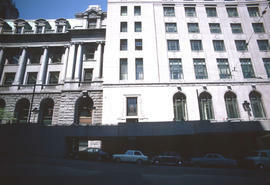 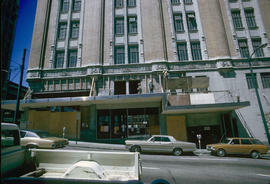 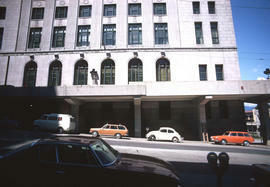 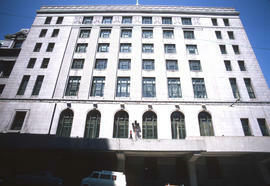 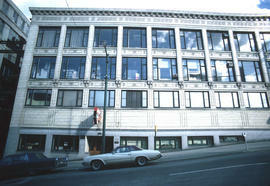 Image shows the east facing portion of the Postal Station A building on Hastings Street. 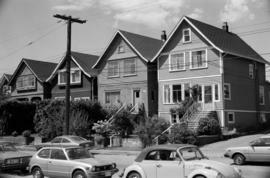 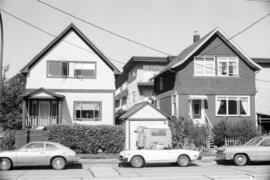 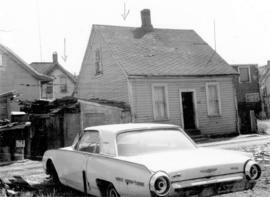 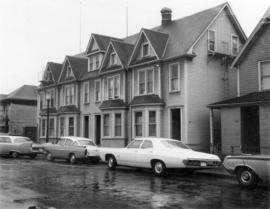 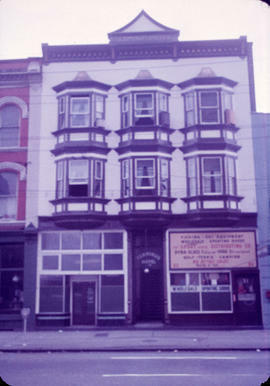 Image shows the west side of large 3-4 storey building on the northeast corner of West Hastings Street & Homer Street. 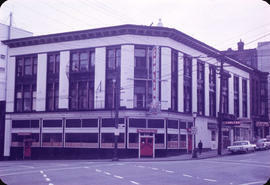 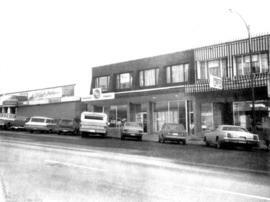 Image shows the east side of the large 2-3 storey People's Jewellers building which faces West Hastings Street. 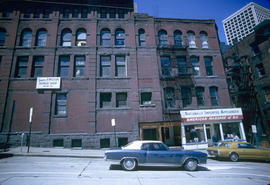 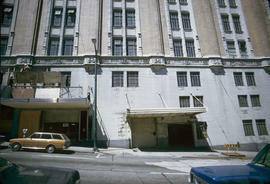 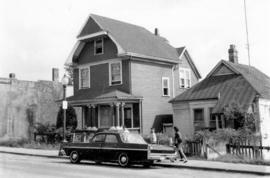 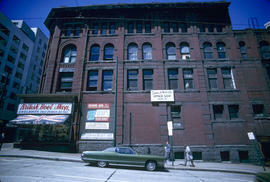 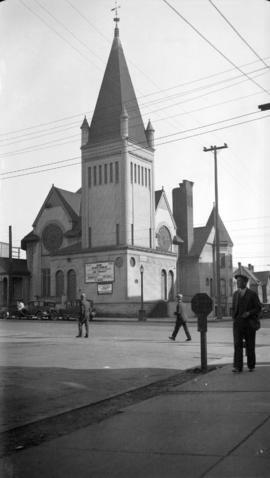 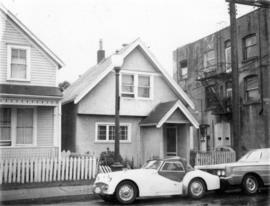 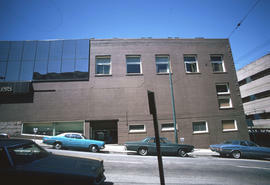 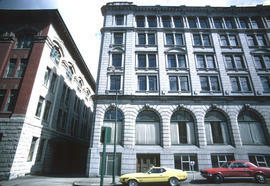 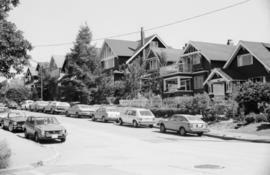 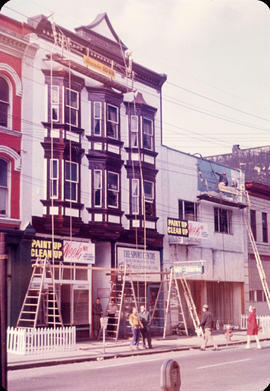 Image shows the Winch Building (739 West Hastings Street). 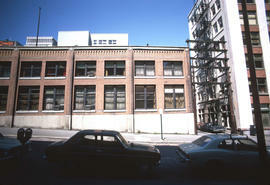 Image shows the left side of the Winch Building (739 West Hastings Street). 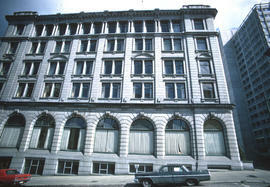 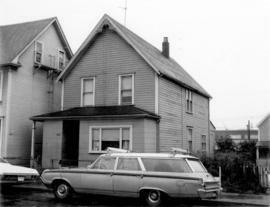 Image shows Pacific Coast Fire Building (325 Howe Street).